Erick was born and raised on the Northwest Side of Chicago. He and his wife Yesenia have been married since 2007 and have two children - Soli Deo Gloria and Erick Joshua Andres. Erick is a church planter and has served as an Elder since 2009. He currently oversees the Portage Park church plant along side Jon Skehan. In addition to serving as an Elder, Erick has an extensive background and experience in fitness and martial arts. He works for GRIP Outreach for Youth as well as a certified personal fitness trainer. Solomon grew up on the mission field of Central Asia during in his early childhood. He came to Chicago in 2013 and finished his undergraduate degree in Biblical Studies at Moody Bible Institute in 2015. Solomon met his bride, Elizabeth, at Legacy Christian Fellowship, and they were married in 2016. Their first child, Salome, was born in December of 2017. Solomon works as an ESL teacher working primarily with Chinese migrants in the Chinatown neighborhood, and he is also a peer coach at the university he attends. Solomon is about to finish his MA in TESOL in the spring of 2018. The Dixons are burdened to see unreached people groups know and love Jesus that God has sovereignly brought to Chicago. They have been discipled in the biblical conviction that the local church is God's primary means through which the gospel is to go forth into all the world. Brian serves as elder at the West Garfield Park plant. His passion is to train leaders for ministry in urban America. In 2007, he founded The Legacy Conference to equip those mutually committed to being disciples of Christ to make disciples for Christ. Brian joined the staff of GRIP Outreach for Youth in September of 2011 and is currently responsible for the annual recruitment of 100+ mentors that walk life with teens from throughout our city. He has been married to his best friend and ministry partner, Heidi, since July 2000. Kevin was born and raised in Ohio and began following Christ in his childhood. He moved to Chicago in 1997 to serve with Inner City Impact. Kevin serves as elder in East Garfield Park where his family has lived since 2002. He and his wife Lisa have been married since 1997 and have three children - Shayna, Joshua, and Matthew. Kevin serves as the Executive Director of Pursue Scholars, an organization invested in emerging leaders in Chicago. Kevin strongly believes in the power of God to change communities through the local church. He is passionate about investing in and releasing leaders to multiply their impact throughout our city. Craig met his best friend Elizabeth in fourth grade, and they were married 14 years later. They have three children: Elijah, Anna, and Daniel. Craig worked in a manufacturing plant in Broadview and then a downtown office in the nuclear energy industry for almost a decade before moving into operations management for a non-profit and a small accounting firm. Craig served as an elder and Elizabeth served as a staff counselor in a church in the Belmont Cragin neighborhood for six years before moving to Humboldt Park to plant. Craig is impassioned by one, redeemed church family made up of multiple ethnicities, ages, and economic statuses sharing their lives and joy in Jesus as they connect God's Word deeply to every aspect of one another's lives. Lamar was born and raised on the south side of Chicago. Although Lamar grew up in the church setting, he didn't come to know the Lord until the age of 20. 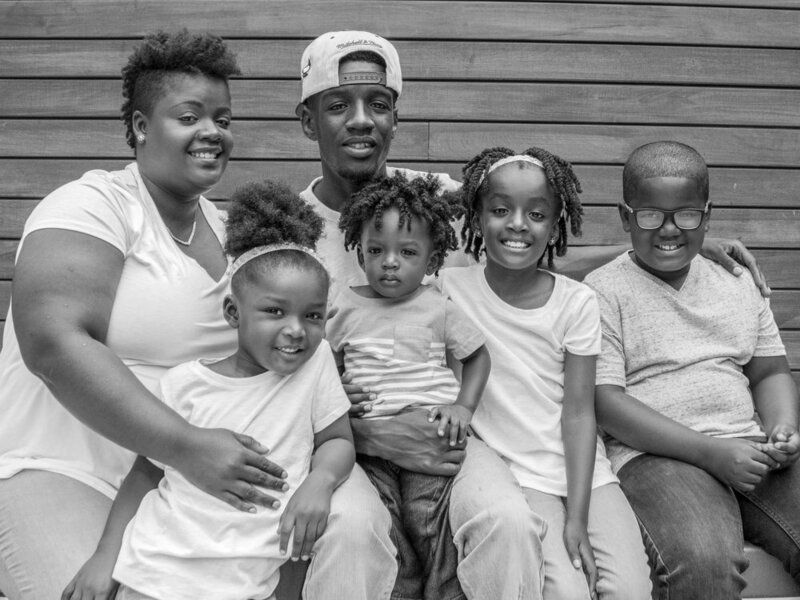 Two months after God had moved on Lamar's heart, he married the mother of his children and life-long ministry partner, Sade. Lamar has an infectious desire to see people come to know God. In 2010, Lamar begin using spoken word poetry as a platform to share the Gospel with his city. Currently, Lamar serves as elder of the Roseland house church and lives in Roseland with his wife and their children Malachi, Melanie, Nylah and Lamar Jr.
Jon grew up on the Northwest side of Chicago and oversees the church in Portage Park alongside Erick Correa. He and his wife Emily have three sons, Micah, Isaiah and Noah, and one daughter, Moriah. He is a pre-school teacher at Breakthrough Urban Ministries. One of Jon's biggest passions is the Church. He cares deeply about the people who have been called and gathered together with God, in Christ. He desires to see the adopted children of God live as they were intended to, as family. Jon's heart is also for the world. His efforts in disciple-making and church-planting are done in hope to see the day when every nation and tongue will worship Jesus together in their Father's house.